Some weeks ago I let you all know that I was trying to learn how to code by doing a little bit of hacking with the Head First series of books every night after I do the dishes. Sure, I would be more pragmatic if I spent my nights working on improving my Drupal skills for our ongoing website migration at MPOW or (in support of the same ends) I worked on expanding my understanding of PHP and MySQL, but I'm much happier at the moment making maps. I'm happier learning and hacking maps because I want to eventually contribute work to CrisisCommons. I'm happier because learning a little bit everyday gets me closer to the day that I am able to launch a map-related website using open government data for my community. And I'm much happier because I know someone who is also interested in maps and my work has inspired her work and her work inspires mine. I have the tried the formal route of learning computer science. I took first year Algebra while I was on maternity leave so I would have the prerequisites to enroll at the University of Windsor's one year Bachelor of Computer Science (General) for University Graduates program. And I took my first computer science course of that program when I returned from maternity leave, but I found that the coursework and studying were taking too much away from time with my family. It also was not particularly enjoyable. So I'm blazing my own path. I'm not worried that I'm "doing it wrong" (I'm not inclined to learn Python for the sheer beautiful purity of the language and I'm not going to apologize for that). As long as I put in the time, the work, and the mindfulness I will get to where I need to be. In my last post, I mentioned that there is a new library-based ARG (Alternative Reality Game) that is just getting underway. The solution can be found here with a wee bit more explanation here. I've been following the game/story rather than actually play the game and solve the puzzles involved because 1) I'm not very good at puzzles and 2) by the time I get to puzzle, it is already solved by someone better than I am. And these reasons just happen to be two of the largest inherent limitations of "traditional" ARGs : they can only be played once and a relatively small percentage of those who play, end up actively contributing to the game. 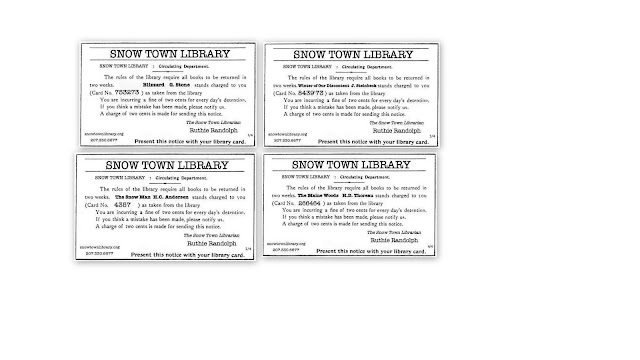 Now this doesn't mean that ARGs like Snowtown Library lack merit. I for one, am completely hooked on its mysteries so I'm following the game like its a story - through a discussion board called Unfiction, no less. The genre is developing and there seems to be a couple solutions to the design limitations of ARGs. The first, is to the make the game about making and documenting things. Two examples of these games would include SF0.org and Urgent Evoke (if you missed its first run, you can apply to play a three month trial of the season one dark site). One thing I really like about the Jejune Insitute is the fact that it’s a cross-platform interactive narrative that works a little bit like a gallery installation: it’s just *there*, online, on the air, and in physical space. This represents a very different approach to storytelling than that found in more “traditional” ARGs, which are typically structured around the gradual unveiling of story information leading up to a climax event of some sort. What made you pick this different path? What did you gain (and/or lose) by abandoning the unity of time? You’re correct about the induction center as “gallery installation”. We wanted to create an immersive automated well-curated environment, and to have it exist semi-permanantly. We were outsiders to the ARG universe, and totally ignorant of it’s culture and customs. So when we finally appeared at the ARG Fest-o-Con in Portland, we learned that we had inadvertently solved one of the major stumbling blocks of earlier ARG’s; “replayability”. What we had produced could be experienced over and over again, and shared with friends, and so on. The big trade off was that it was local. People in other parts of the world are not able to experience it directly. But ideally we’ll be able to produce unique experiences in other cities in the future. Every city should have their own game! I like the idea that every city should have its own game. Maybe each library, museum, or school should have one too. David Eaves makes the case that it is Industry Canada that should bear the consumer wrath associated with UBB and not the CRTC. 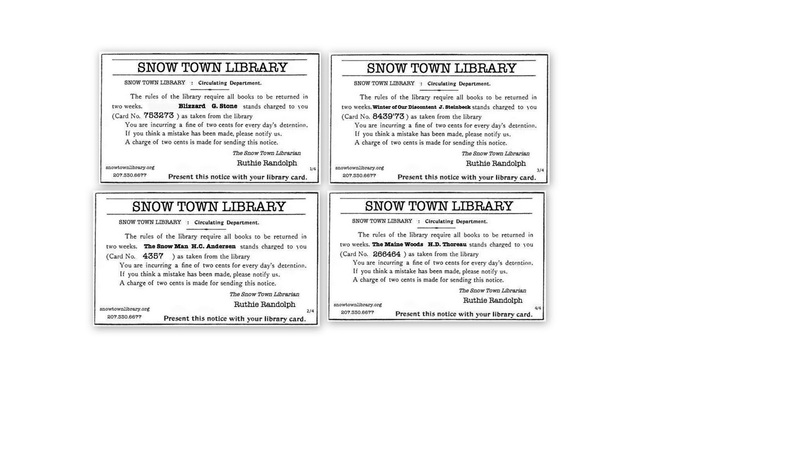 I have no time for it and I'm ready set to play Humans v. Zombies on campus next week, but how can I resist an ARG based in a library: Snowtown Library. I'm in. Are you? MIT offers a lunchtime Apps4Academic class for those interested. Would love to something similar at MPOW. In libraryland, there's are tentative efforts underway to help our users with their data. Outside of libraryland, there are tools on the way that might help with the cause: The Locker Project: data for the people. Also from O'Reilly is a new website of theirs called Future of Search. I just find that O'Reilly focus of looking forward so refreshing. One of my misgivings associated with librarians continuing to teach "Boolean searching" is that I believe the professionalization of the technique originated from early librarian work with pay per use search tools such as DIALOG and is no longer relevant or even suited for sets of hundreds of thousands of items.